There are some certainties when it comes to retirement investing and planning. Chief among those certainties is that investors should not put off saving for retirement. The earlier an investor starts, say in his or her 20s, the larger the retirement portfolio is likely to be given the benefit of time. Second, instruments such as exchange-traded funds (ETFs) and index funds make for ideal retirement planning investments because many of those funds carry low fees. In addition to the diversification benefits offered by many index funds, those low fees matter over time. The less an investor loses in fund fees, the more of his or her total returns are kept. Another retirement planning certainty is that Vanguard funds, be it ETFs or index funds, are great cornerstones of retirement portfolios because many of these funds offer diversification at attractive price points. Here are some of the best Vanguard retirement funds for consideration by young investors. Vanguard Mega-Cap Growth ETF (NYSEARCA:MGK) is one of the best Vanguard retirement funds for young investors for several reasons. One of those reasons is that an investor in her 20s, with a long-term time horizon, can withstand some of the gyrations associated with growth stocks. On the other hand, the MGK probably is not suitable for an investor in his 70s. Data confirm growth stocks are usually more volatile than the broader market. Last year, MGK was 300 basis points more volatile than the S&P 500 and 280 basis points more volatile than the Vanguard Mega Cap ETF (NYSEARCA:MGC), this Vanguard retirement fund’s broader counterpart. 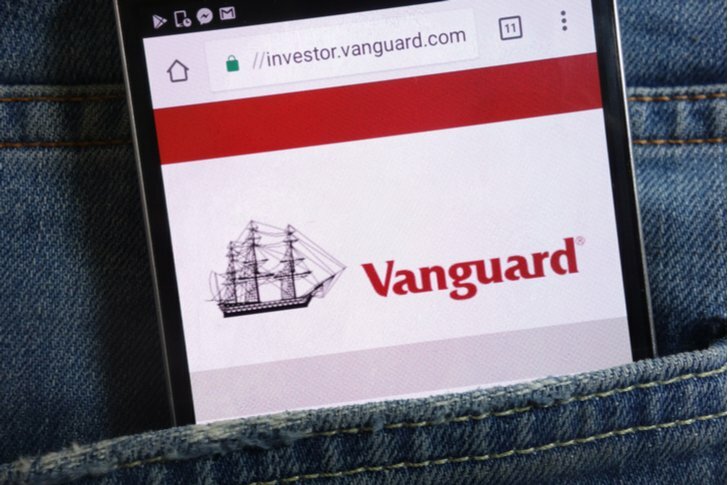 Many growth funds, including MGK, are heavily allocated to the consumer discretionary and technology sectors, meaning this Vanguard retirement fund is a suitable alternative for investors that do not want to tap sector-specific products. Technology and consumer cyclical names combine for almost 55% of MGK’s weight. Top 10 holdings in this Vanguard retirement fund include Apple (NASDAQ:AAPL) and Amazon (NASDAQ:AMZN). The Vanguard Small-Cap Value ETF (NYSEARCA:VBR) is a standout among Vanguard retirement funds because there is significant long-term potency in combining the small size and value factors. Historical data confirm the usefulness of VBR as a solid Vanguard retirement fund option. “From 1928 through 2016, the S&P 500 index compounded at 9.7%, while small-cap value stocks grew at 13.5%,” according to MarketWatch. VBR holds 868 stocks, giving it a deep bench relative to some other factor-based small-cap strategies. Some of the volatility associated with small caps is mitigated with this Vanguard retirement fund because, with a median market capitalization of $3.3 billion among its holdings, VBR is actually a mid-cap fund. VBR devotes over 54% of its combined weight to the financial services and industrial sectors. International stocks or funds should be a part of well-balanced portfolios, particularly for younger investors because investors in their 20s have time on their side, meaning they can endure some of the volatility that comes with ex-U.S. investing while waiting for some of these markets to rebound after years of disappointment. As its name indicates, the Vanguard International Dividend Appreciation ETF (NASDAQ:VIGI) is a dividend ETF, which bolsters VIGI’s credibility as one of the better Vanguard retirement funds. Younger investors do not need to take the dividends paid by VIGI. Rather, they can reinvest those payouts. When done over the long-term, dividend reinvestment plays a major, positive role in long-term total returns. The $1 billion VIGI holds 357 stocks, nearly 28% of which are emerging markets names. Europe is this Vanguard retirement fund’s largest regional exposure at 49.10%. Over the past two years, VIGI is beating the MSCI All-Country Ex-US Index by nearly 400 basis points while displaying comparable volatility to that international benchmark. As of this writing, Todd Shriber did not own a position in any of the aforementioned securities. Article printed from InvestorPlace Media, https://investorplace.com/2019/02/best-vanguard-retirement-funds-to-buy-in-20s/.